Because of their focus on mission, Not-for-Profit Organizations face challenges often more complex than those of commercial organizations. Mission-driven not-for-profit organizations often provide goods or services to consumers thereby raising income to fund their missions. It may be Goodwill seeking donors of used goods to sell as a source of income to fund training and rehabilitation. It may be a pediatric hospital seeking to make the parental public aware of its services, and donors of its special qualities and mission. Or it may be a social entrepreneur operating a restaurant to fund work-force development among an operating staff consisting of hard-to-employ persons. Or it may be an arts organization driven by a desire to bring theater, music, or visual arts to the community. All have a challenging balance between generating a continual stream of funding while remaining true to mission. To succeed, they all need to understand their publics. Best practices dictate that they should know in depth how aware their public is of their products or services and how they became aware. They should know how the public rates the product or service and the process of interacting with the not-for-profit whether as a customer or a donor. They usually, though not always, will need to know the level of awareness of the underlying mission, and to what extent they are favorably or unfavorably moved by that awareness. • How aware is the public of the organization? 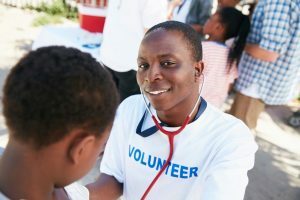 • Does the public understand basics of how to interact with the organization whether as a donor, customer or volunteer? • Is the organization held in high regard? • Is the public aware of the underlying mission? • What are the attitudes among the public, especially the target segment of the public, toward the mission and the people being served by the organizations’ programs? • How are target segment demographics aligned, or not aligned, with market growth? • How effective have communications strategies been in promoting the organization? Not-for-profit organizations face marketing and planning challenges every bit as complex, and perhaps more so, as those faced by strictly for profit organizations that are not similarly motivated by an underlying mission. Contact us to discuss your business and your mission and how we might be of assistance.